iPhone HD: The Next-Gen iPhone Specs Leaked? iPhone HD is the name of the next generation iPhone according to Engadget. Yesterday, the WSJ reported that Apple is manufacturing two iPhones for the next release, one of them will be Verizon iPhone. Daring Fireball’s John Gruber has responded to the WSJ report. He has shared his intelligence about the next iPhone. According to him the iPhone HD will feature the A4-family CPU system (same as the iPad), resolution of 960×640, front-facing camera for video chat, and third-party multitasking in the next iPhone OS 4.0. We don’t know what’s true but but Gruber has a pretty good track record of sharing valid info about unreleased Apple products. 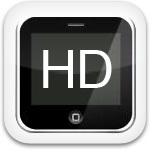 He also finds the name iPhone HD reasonable, keeping in mind the double resolution display. Engadget also reports that the next Generation iPhone HD, will be announced on Tuesday, June 22 which also falls inline with past iPhone release dates. You can checkout our complete iPhone 4G coverage here.